New in the UK: Jobfeed! 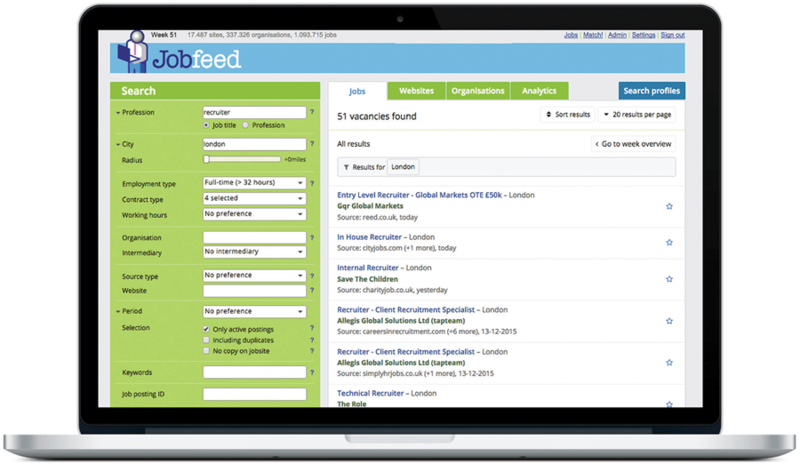 Jobfeed, the lead generation tool by Textkernel that makes the online job market searchable and transparent, is now also available in the UK! Jobfeed collects the online jobs, structures, classifies and enriches the information, making the demand side of the labour market searchable and transparent. With Jobfeed you can quickly discover interesting opportunities and it gives you the background information to do acquisition more effectively. Jobfeed offers a current and historic overview of the online jobs in the UK and proves itself to be a valuable information source, analytics and acquisition tool for recruitment and temporary staffing agencies as well as outplacement & redeployment.